Whatever type of business you own, having unique content on your website plays a huge role in the amount of website traffic that you receive. Today more than ever, search engines like Google, Yahoo and Bing analyze your content; that information is one of the main factors used by search engines to rank your pages in their results. Let our content help boost your website to the top of the search engines. We offer 100% U.S.-based verified writers for your writing projects. All of our writers undergo a strict verification process. During this process we verify writers are based in the United States and then they are assigned several writing projects to evaluate their writing skills. Only the best writers pass our qualifications standards to ensure you get the quality your projects deserve. Today great content is more important than ever. Search engine algorithms like Google Panda can spot low-quality broken English content and penalize your website. Don’t let this happen to you. Our high-quality content is not just about the utilization of keywords in order to catch the attention of search engines. It is more about the creation of gripping material in order to grab the reader’s attention. 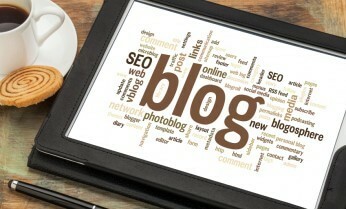 Have no fear of getting penalized by low-quality content when you use Vorongo article writing services. Stuart McHenry the President of McKremie USA who’s services include Law Firm SEO explains, “We started Vorongo to give the small business owner a place to create quality content on a smaller budget. Creating content that targets your visitors is one of the best ways to grow your SEO traffic in the search engines.” If you need more than just content feel free to contact McKremie SEO Firm at their California location.